Goal Mapping is a simple system for success – yet it is so powerful that since 1995 it has benefited thousands of people. It has helped people achieve success relating to wealth, career, wellbeing, education, sport and anything else they dream of. 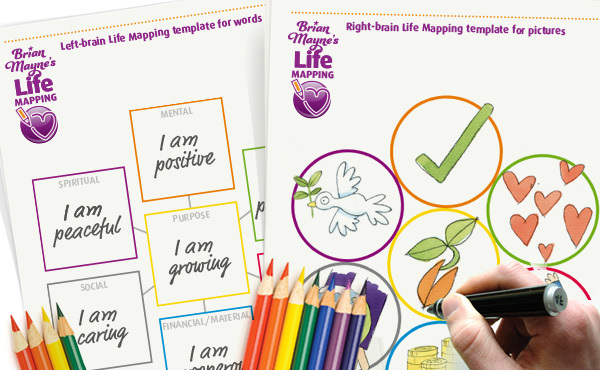 Goal Mapping can help you to live a better life, as it already did for thousands of people. Throughout history, the most successful men and women have been those who developed their natural ability to set and achieve goals and transform this into a powerful skill for success. Goal Mapping is a unique whole-brain approach to setting goals that powerfully helps people achieve their targets and desires. Goal setting is a natural function of the brain. Every decision is in effect a goal, which triggers a subconscious process that transforms the decision into an action and into a result. Becoming a master of goal setting is the first step in mastering all other things in life. Combining timeless wisdom with modern scientific breakthroughs, Goal Mapping helps people gain higher levels of conscious, concise clarity about their goals, motivations and actions. Whereas traditional goal setting techniques focus on left–brain words and repetition, Goal Mapping uses both words and imagery, the language of the subconscious. By creating a Goal Map, the whole of your brain is activated and your goals are imprinted in your subconscious, which then works like your personal auto-pilot to move towards the things you desire. The method of Goal Mapping is becoming the first choice for achieving success in life, business and education. Remember: you can create a Goal Map for anything you wish. It might be about a career change, a sporting challenge or a shift in lifestyle. Or it might be about finding happiness and fulfilment. Whether it’s something fundamental or simply something fun, the key thing is to jump in and give Goal Mapping a go! The easiest way is to attend a one-day non-residential workshop. Participants will learn through brief lecture sessions, skill practices, interactive and fun work and will receive a fully illustrated workbook. The trainers are certified Goal Mapping practitioners with solid experience in life and business coaching in Belgium and abroad. Discover and practice the famous Goal Mapping method to set and visualize objectives as developed by Brian Mayne and actively steer your life towards success. What you need to know about the functioning of your brain to unlock its potential and open new opportunities. The seven factors for sustainable success. The seven principles to succesfully formulate your goals. Very concretely, the seven key steps of Goal Mapping to clarify your objectives and your values, to set clear and realistic personal ambitions, to identify the key steps to take to move on and the resources to activate. How to leverage the goal map and make it come alive in your daily life. 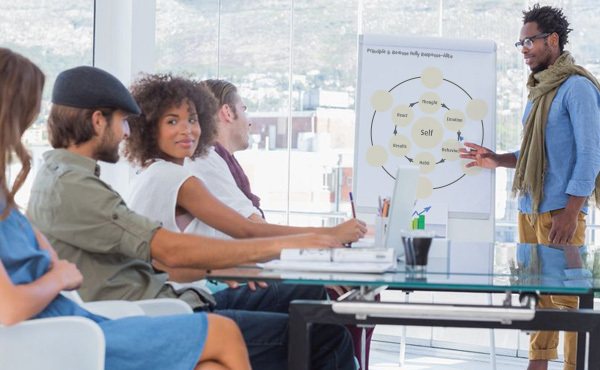 At the end of the training, you will go away with your personal goal map, expressed with words and drawings using the unique and efficient Goal Mapping method. You will be able to take more control of your life and transform opportunities into sustainable success. To learn more, or to book a Workshop for you please get in touch. Spend one day learning Goal Mapping with a group of like-minded people. Learn one-to-one with the help of a local practitioner. Learn about the Goal Mapping system, processes, habits and techniques in-depth and at your own pace. Discover our books, sites and DVD.